Since the advent of the second Golden Age of the Cocktail a decade of so ago, outstanding mixologists around the world have been venerated along a similar status to that of the football celebrity or movie star - notably in Europe and the Americas. And that's as it should be. However, it is still not so apparent in other countries. 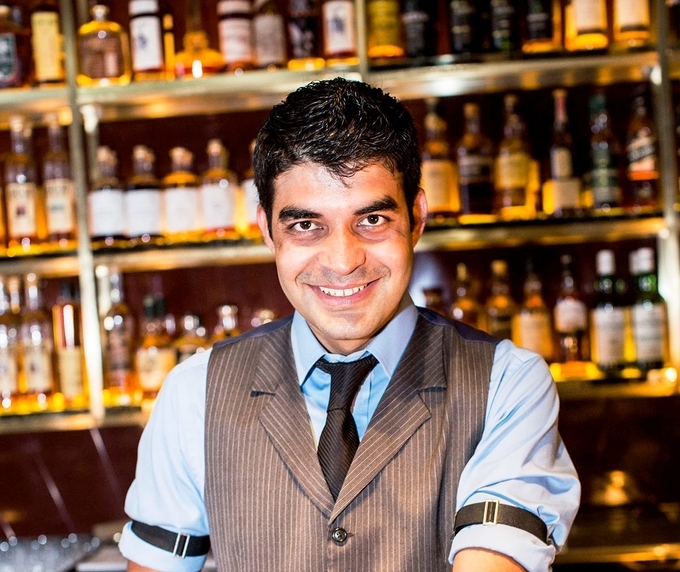 One example is India where Ashish Sharma, Beverage Manager at the Four Seasons Mumbai works. He says, "I wish that, in the coming years, the Indian market and its consumers will show more respect to its servers and bartenders; and start accepting that working in the bar and beverage industry is a profession. This will help the industry to grow healthier and in turn will encourage young bartenders to stay longer in the profession." He himself has worked and studied hard to get where he is today. "I graduated from the Institute of Hotel Management & Catering, Indira Gandhi National Open University in 2007, then I went to work as Banquet Manager as part of the pre-opening team at the Four Seasons Mumbai. Eventually, looking for more challenges, I moved to the Four Seasons Resort, Landaa Giravaru in the Maldives." A significant point in his career came about when he joined the Regent Singapore, another Four Seasons property. It was 2011 and he went in first as Restaurant & Bar Supervisor in the Basilico Restaurant before he was appointed as Assistant Head Bartender at the Manhattan Bar when it opened in 2014, working alongside Bar Manager Philip Bischoff. He says, "I was part of the pre-opening team and within three years we had racked up a number of accolades including being ranked No.11 in the World's 50 Best Bars 2016 and last year we ranked in as No.1 on Asia 50 Best Bars list. We were twice nominated in Tales of Cocktails 2015 and 2016 for Best Hotel Bar in the World." During his time at the Manhattan Bar, he led, educated and trained the bar team and floor staff by developing new cocktails and working with different and new flavours. By creating a first-in-a-hotel Rickhouse and Ingredients Room, Ashish was able to experiment with barrel aged spirits and cocktails as well as bitters, house-made syrups and liquors. "One of my most memorable and successful concoctions was creating a barrel aged Singapore Sling with Cherry Heering." Moving back to India recently, Ashish now heads the Four Seasons Mumbai beverage program where he plans and oversees the centralized preparation of hand-cut ice, fresh juices, custom syrups, spirit infusions, and cocktail batching across all of its F&B outlets. Along with all of that, his responsibilities also include bar hospitality, cocktail creation, beverage menu creation and staff education for the hotel's six bars and restaurants, as well as banquets and room service. Whew! However, his ten years' experience in the field have enabled him to bring new innovations and styles to the only bar in India to make Asia 50 Best Bars list - AER - ranked at No.37 with its upgraded cocktails and house-made specialties. The venue is a uniquely glamorous space occupying the entire roof of the 34th floor of the Four Seasons Mumbai. AER is the city's highest rooftop bar offering a panoramic 360-degree vista of the city and sea under an endless canopy of sky and stars. It makes for a truly memorable experience. Open to the elements, AER's matchless aspect is further enhanced during monsoon season by the addition of a chic canopy and enveloping windscreen to shelter guests as they experience a most unforgettable drinking encounter of a different kind! It is the place to be for Mumbai's rich and famous glitterati. Recognised as an authority in his chosen profession, Ashish was a Judge for Bacardi Legacy India 2016-2017 and World's Diplomatico Rum Competition 2017 India. Of the latest trend in India, Ashish says, "The trend now is being detail orientated behind the bar by making the drinks with more precision using innovative flavours and awesome presentations. Today's consumers are getting more educated about beverages, they know what and how they want their drink to be served." 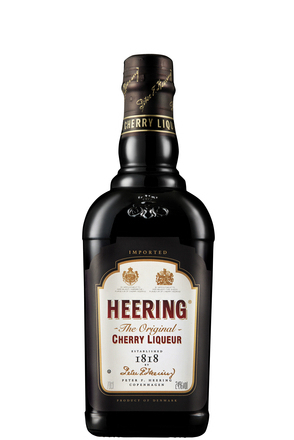 To celebrate the 200th anniversary of Cherry Heering, Ashish has picked the year 1858. "This is a year that shaped not only the history of India but also of the region. This was the year when the British Raj started in India until it ended in 1947. This was also the period when the East India Company was in the business of trading spices between India and the rest of the world. 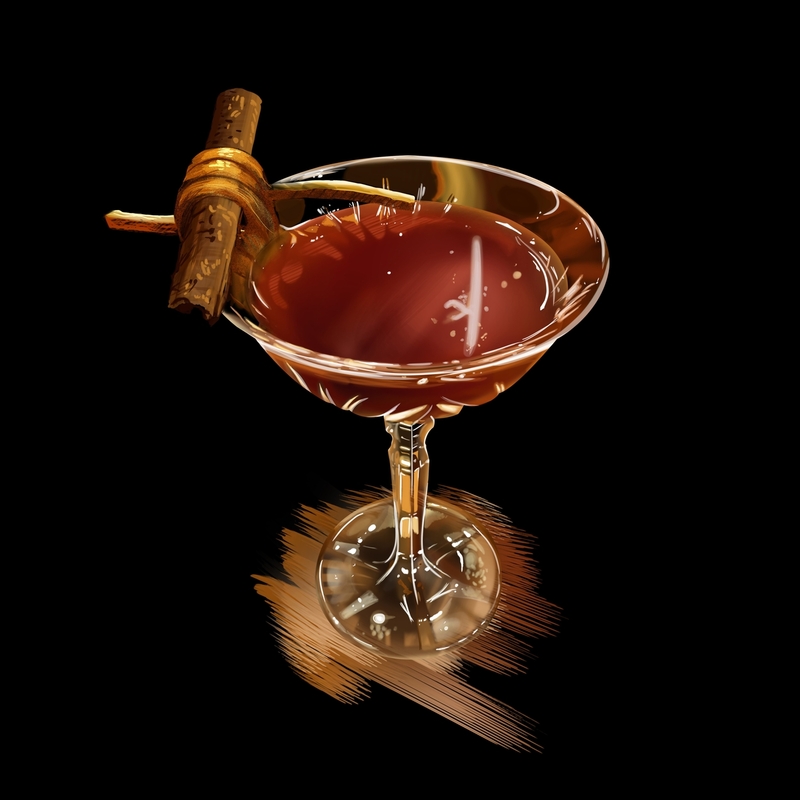 "The ingredients I have selected for my cocktail - The British Raj - reflect those moments in history when spices - namely cinnamon, clove, coriander, gunpowder spices and tea - were traded by the East India Company. 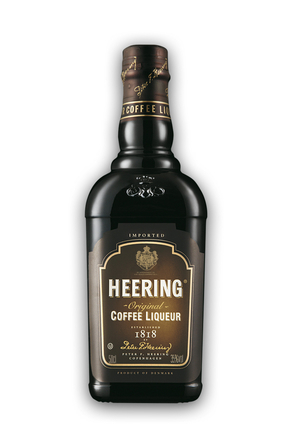 It was also the company that introduced Cherry Heering to India. For my base spirit, I use Old Monk, an Indian rum that was produced for the British Army."